One of the key things to living a *blissful* life as an immigrant/expat is, I think is to take advantage of the best of the country and gently filtering out the negatives. I've discovered so many delightful things here in Algeria take for example: STRAWBERRY SEASON! From late Februrary to the peak of early July the "Queen of all fruits" the strawberry is ripe, delicious and in season here in Algeria. They're really the sweetest and juiciest I'ver tasted in my life. I remember enjoying a very brief crop of mini strawberries from my grandmother's garden as a child. Picking off the few little fruits that grew and eating them. But later on, living in the US I wasn't really impressed or excited about the watery, tasteless strawberries to be found in the supermarkets. But the Algerian strawberry really made me rethink this little fruit. And I've been really and truly enjoying them ever since. And you know sometimes enjoying these seasonal delights is one of the best joys of living in Algeria. My husband introduced me to a simple preparation, way of enjoying strawberries: combing the essence of orange blossom water and strawberries. It instantly took me straight into a floating-on-a-cloud dream-like trance! WOOOOAW! The orange blossom water really gives a beautiful twist even to unexciting underrripe watery supermarket produce. You could amplify the flavor by tossing the fruit in sugar or little honey. It’s as easy as that! I’m so delighted to share this simple little un-recipe with you all! HULL and cut the strawberries into bite-size pieces. Mix everything together in a mixing bowl. ALLOW the flavors to meld together for least 10 minutes. Spoon into servings glasses and optionally garnish with fresh mint or even a dopple of chantilly cream. This fruit compote is best prepared and eaten fresh. If you are using it for a picnic or school /work lunch add a ¼ tsp lemon juice to keep the strawberry fresh. You can add some lemon or orange zest here to brighten the flavors up even more. Or optionally slightly cook the strawberries for about 5 minutes to have a fruit topping for pancakes, crepes, ice cream and puddings. Instead, of using sugar you can use honey, Stevia or Agave nectar, adding as much as you like for the sweetness desired. If you’re in a breakfast mood, try our Strawberry and Flax Pancakes with Homemade Strawberry Pancake Syrup. Or, prehaps Madjoun Fraiza Algerian (Strawberry Jam with Orange) Blossom Water spread on some La Mouna (Algerian orange scented buns). 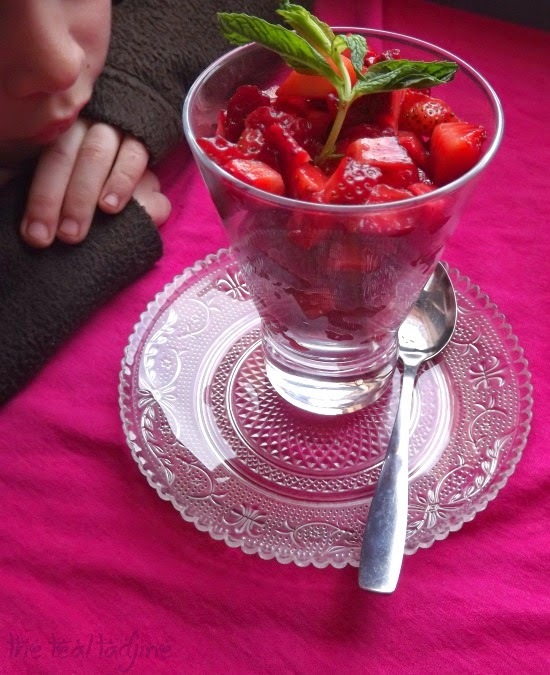 Or, something light after dinner like this Strawberry Yoghurt Sorbert. 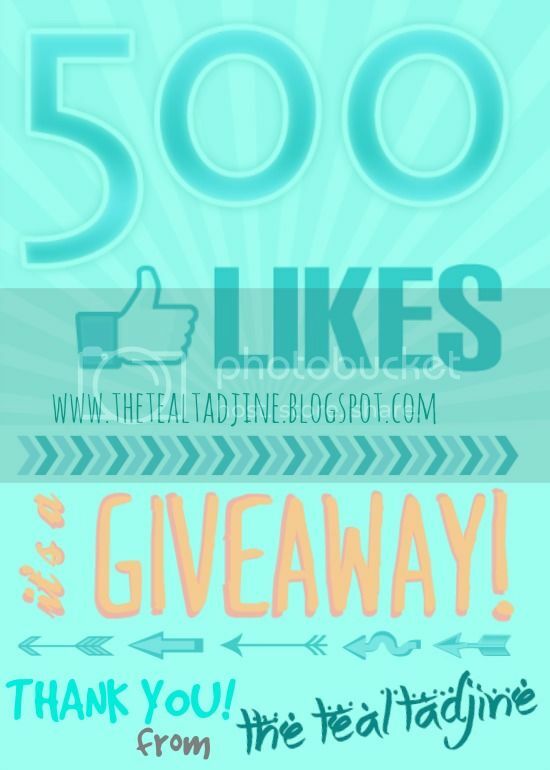 Follow Hénia_HUDZ @The Teal Tadjine's board STRAWBERRY on Pinterest. I'm was very honored to be interviewed and featured on Mariam Poppins' - Muslimah blog focusing on Islamic womanhood, sisterhood, wifehood and motherhood. Thank you - BarakAllahu fiki Ameenah and all the contributing sisters for this honor! You can check out the interview by clicking HERE. And take the time to look around at this really inspiring Muslimah blog! I've been a faithful reader for a while and have found so many useful tips and tricks there MachAllah! And don't forget to entry my "Algerian pack" giveaway to win not 1, but 3 cookbooks + 4 packets of Algerian spices so you can get your tadjine on and start cooking some wonderful Algerian dishes soon ! Details HERE! do you have any favorite berry recipes? how do you lke to eat strawberries? Let's keep in touch! Sign up for posts delivered right to your e-mail inbox or subscribe to my feed. You can also 'like' me on Facebook, pin posts on Pinterest or follow me on Twitter for all the latest recipes and updates. 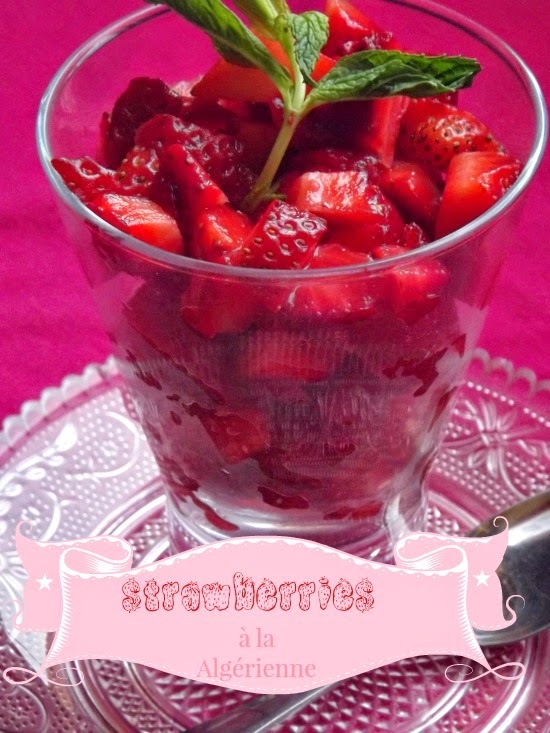 I make this all the time when strawberries are in season! Henia, this is Meriem. I make this all the time when Strawberries are in season! Love it! 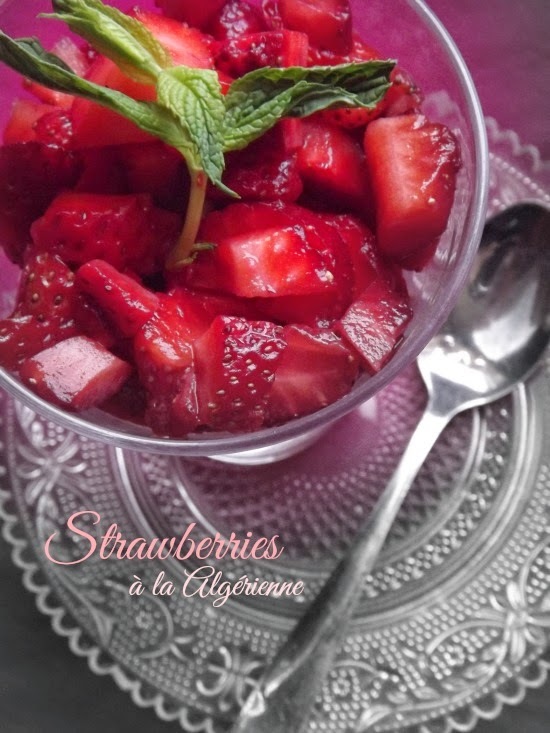 I love Algerian strawberries too! This recipe sounds really nice! I`m also in same opinion, that in two-cultural marriage you can take advantages from both countries and leave disadvantages from them both! I`m also married with an Algerian husband and we have four children. We`re just now in Algeria. I love how simple this recipe is, I never thought to use orange blossom with strawberry before. JazakAllah khair. salamualaikum sister nice to know you. i'm indonesian my husband algerian we live in jijel now, what city you live on? 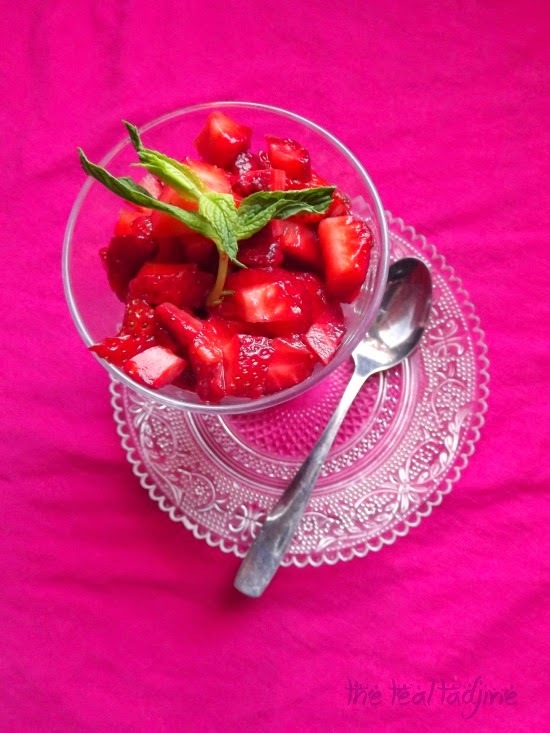 i have strawberries in my fridge, i used to make this recipes but my style is mix with orange pieces, blood orange, banana, dates, apricot any kind fruit in the seaason or on my table =) i don't use orange or rose blossom (people here used to use rose blossom) just add generous sugar. next time i will try use orange blossom and mint leave incha allah.